Tho No Bi, 36, a resident in the Lao province of Houaphan’s Xam Tay district, was caught red handed in Muong Phu village’s border area in Thong Thu commune, Que Phong district. 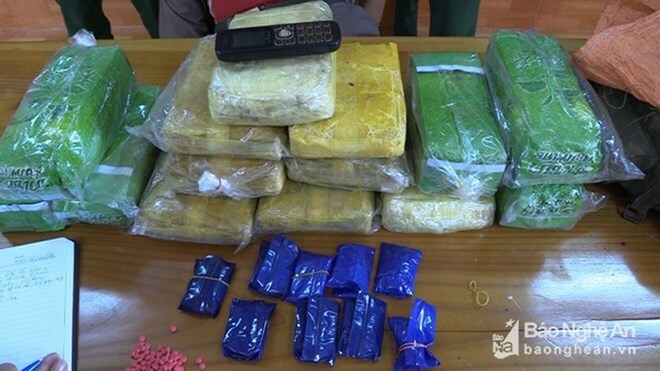 The suspect admitted that he was smuggling the drugs from Laos into to Vietnam for distribution. The case is under further investigation. 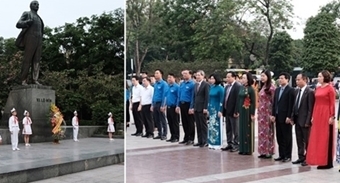 Vietnam and Laos share a borderline of nearly 2,340 km that runs across through 10 Vietnamese provinces, namely Dien Bien, Son La, Thanh Hoa, Nghe An, Ha Tinh, Quang Binh, Quang Tri, Thua Thien-Hue, Quang Nam, and Kon Tum. The line also appears in 10 Lao provinces - Phongsaly, Luang Prabang, Houaphan, Bolykhamsay, Khammoune, Savannakhet, Salavan, Xiengkhouang, Sepon, and Attapeu. This borderline is among the hot spots of drug trafficking, with traffickers being mainly ethnic minority people.